As a representative of the Early Millennials, I can say with confidence most of us grew up with four oceans in our geographic vocabulary — the Atlantic, Pacific, Indian and Arctic oceans. Granted, to impress our teachers (and by impress, I mean annoy), some of us may have raised our hands to announce our awareness of the dual identities of the first two in this list, divided into the north and south Atlantic and the north and south Pacific. “Miss, the north and south portions rotate in different directions, so they have to be different oceans,” we’d say. Well, here’s a new one on our youngest group of graduates now entering the work force, a piece of information the upcoming generation of students will no doubt annoy us with — there aren’t four oceans, nor even six counting the subdivisions of the Atlantic and Pacific. There are seven! I was disappointed to discover recently that the Southern Ocean has been a thing for 16 years, officially, and even as early as the 1920s on some maps. While we were fretting over the Y2K bug, the International Hydrographic Organization (IHO) was working to re-imagine the landscape of our planet according to the most current science. 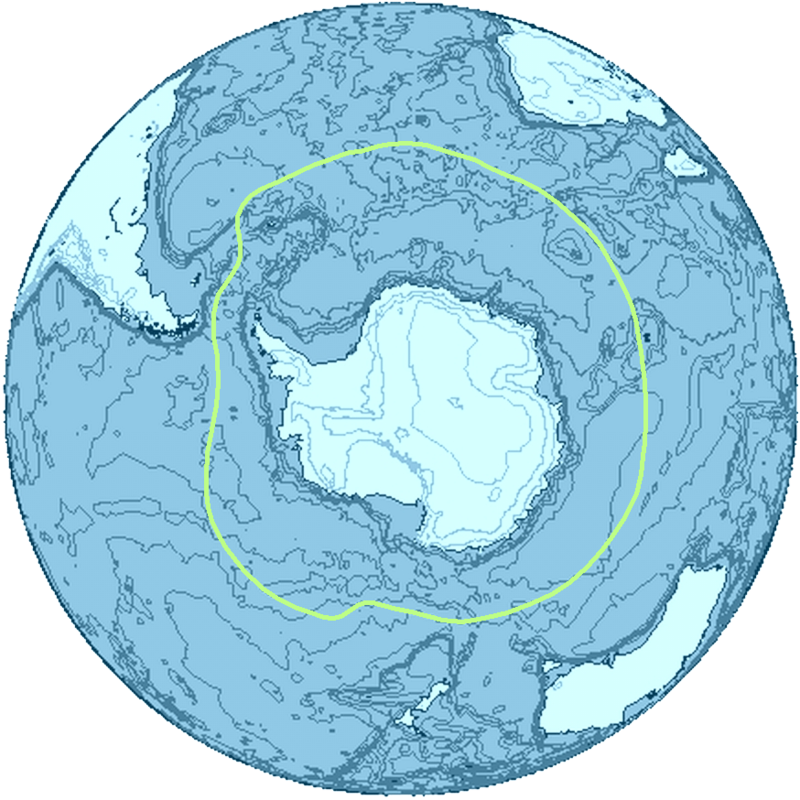 Because the waters surrounding Antarctica rotate independently of any other ocean current, the area below the 60th parallel was known to be an independent ecosystem, but didn’t yet have its own name. In light of this information, the IHO, comprising 68 countries with saltwater shorelines, requested of its members a recommendation on how to handle this wrinkle in natural science. Of the 68, 27 nations responded with preference for a fifth ocean, and Argentina alone wrote to say it was unnecessary. Out of those 28 responses, 18 advocated for the naming of the new ocean as the Southern Ocean, while the rest preferred the Antarctic Ocean. As a result of less than 42 percent of responses from IHO’s membership, the organization published the third edition of Limits of Oceans and Seas (S-23) in the year 2000, entering the new “Southern Ocean” into the annals of history. I’m guessing their decision-making process doesn’t work on a majority-rules system. Fifteen years later, perhaps as a result of this continued debate, the Southern Ocean still has yet to enter into common parlance, evidenced by brief interviews with my younger brother and three of the youngest employees in the Houston Museum of Natural Science Marketing Department. None of them knew what the heck I was talking about. You’d think information 15 years old would’ve at least made it into the minds of those younger than 23. Even the fact that some countries, though not all, recognize a fifth ocean ought to be enough to make it into public school curricula. But alas, this information has flown under the radar for so long, this 31-year-old professional internet researcher has beaten his younger contemporaries to the punch. And like the IHO member-countries who abstained from their recommendations, I’m uncertain whether I should be proud of this personal discovery. In any case, there is a new ocean, and its name is the Southern. 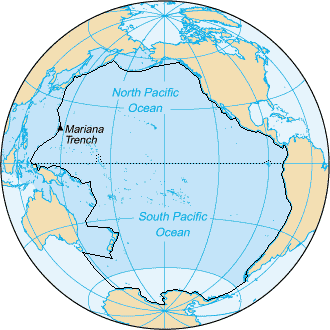 More details The Pacific Ocean as example of terminology concerning seas: the area inside the black line includes the seas included in the Pacific Ocean prior to 2002 and the darker blue areas are its informal current borders, following the recreation of the Southern Ocean and the reinclusion of marginal seas. Perhaps the reason for this “secret” of Earth’s modern hydrography lies in the hesitation of many nations to even care about it. 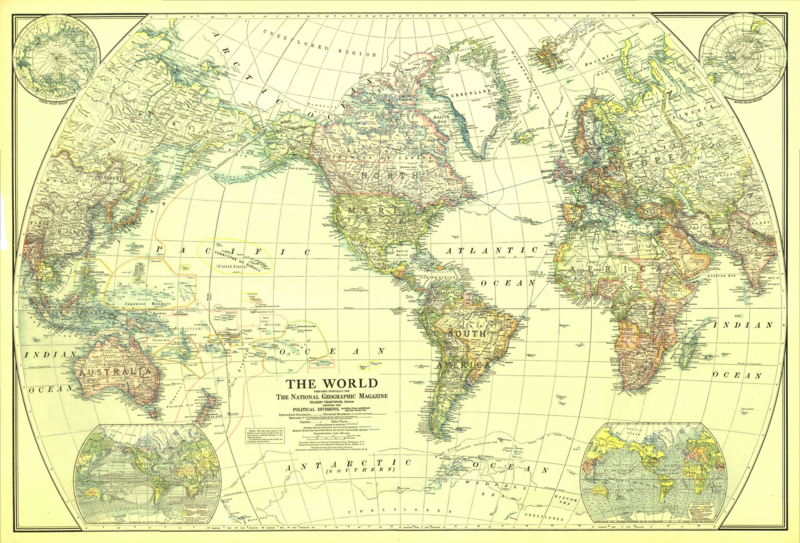 After all, the great waters of our planet are in a sense one big ocean flowing between the continents, and the demarcation of oceans seems more a semantic debate between map-makers than a pressing scientific issue. But I’m totally for it — I believe in the Southern Ocean! As a species, we name things to better understand our world and enter into discussions about it. Science, though not perfect, strives to be exacting. We seek answers and work to classify the things we know into categories that make the most sense because, simply put, it makes things easier to understand. From my word-nerd perspective, the people who care about language work toward accuracy. By nature, language can never be as exact as science, but concision helps scientists create precise explanations. I mean, come on; how much simpler is it to say, “The Southern Ocean is home to the planet’s largest ocean current” than it is to fumble around with something like, “The waters surrounding Antarctica rotating separately from the other three oceans bordering it creates the planet’s largest ocean current”? The “seven seas,” at one time or another. New names for old things also place our society in historical context, and as humanity’s understanding of the world develops, so does our perspective. Remember the phrase “sailing the seven seas”? 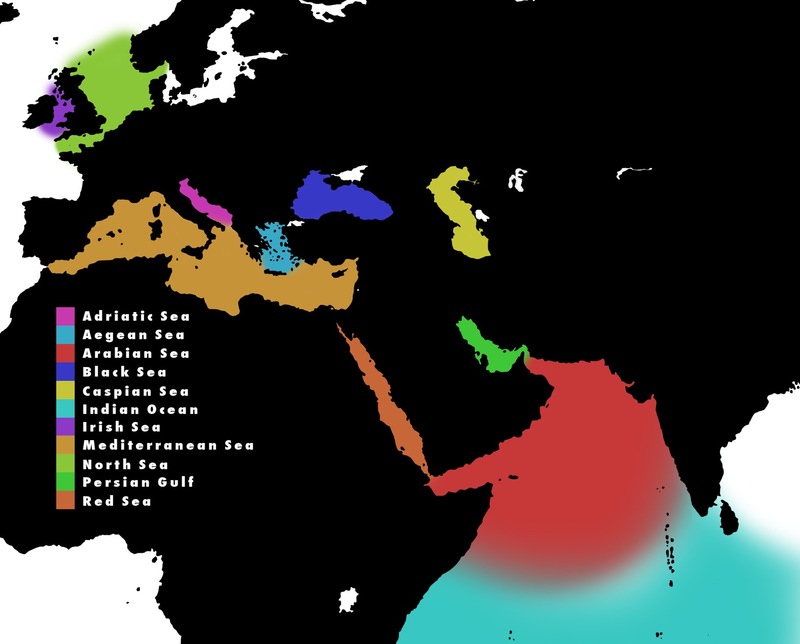 To the Ancient Greeks, who knew only Europe, Persia and North Africa, the extent of their hydrographical purview was limited to the Mediterranean, Black, Red, Adriatic, Aegean, and Caspian seas. They threw in the Persian Gulf because they didn’t know any better. To Medieval Europeans, the phrase referred to the Baltic, North, Mediterranean, Arabian, Black and Red seas and included the Atlantic for the same reason. In the time of colonialist expansion to North America, sailors saw the oceans as great seas, lending credence to the idea that the world shrinks as knowledge grows. These mariners considered the Gulf of Mexico, the Arctic Ocean, the Indian, Atlantic and Pacific all seas, as well as the Caribbean and its eldest relative, the Mediterranean. Now, in 2016, in an age of scientific and lingual precision, we invoke the phrase in the times we wish to wax poetic, when no other phrase will do, but with the advent of the Southern Ocean, it’s no less accurate. The seas of our millennium include two Atlantics, two Pacifics, one each of Arctic and Indian, and now the Southern. I’ll move we call these The Magnificent Seven. “The Tall One”: Denali, formerly Mt. 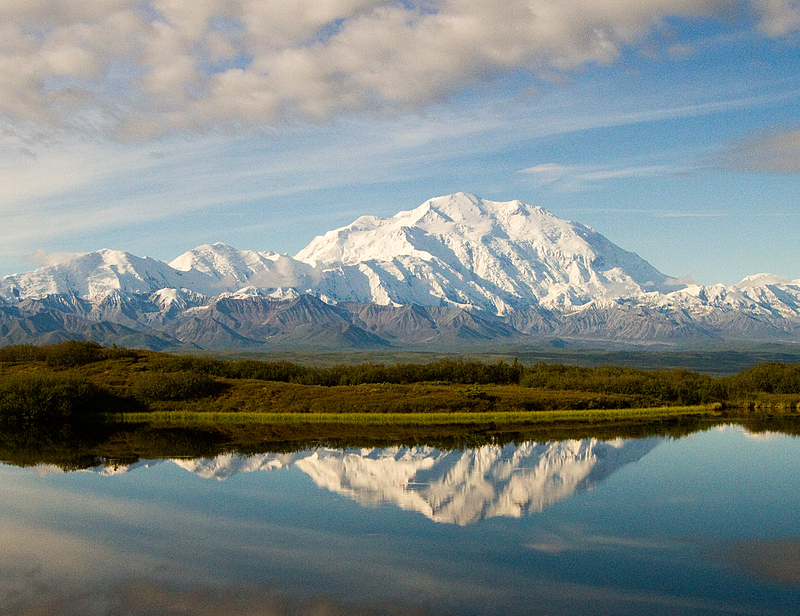 McKinley, formerly Denali. The waters of our world aren’t the only thing changing names. Last September, near the centennial of the national park system, President Obama visited Denali National Park in Alaska, home to the tallest peak in North America. Reaching a whopping 20,237 feet into the sky, the mountain was formerly known as Mt. McKinley. During the visit, Obama announced the United States would officially recognize the mountain’s ancient title of Denali and scrap the name of the 1896 presidential candidate William McKinley (who, incidentally, lost the race). The name “Denali” is a derivation of “the tall one” in Koyukon, one of 11 Athabascan languages traditionally spoken in Alaska. The return of the mountain to its former name observes the viability of the Athabascan naming system, which links places to one another to help orient travelers more effectively. For example, the names of several tributaries of the same main river will all share similar roots. The re-naming also comes as a sign of respect to the peoples who for thousands of years have called Denali by the same name in spite of its federal designation less than a century old.